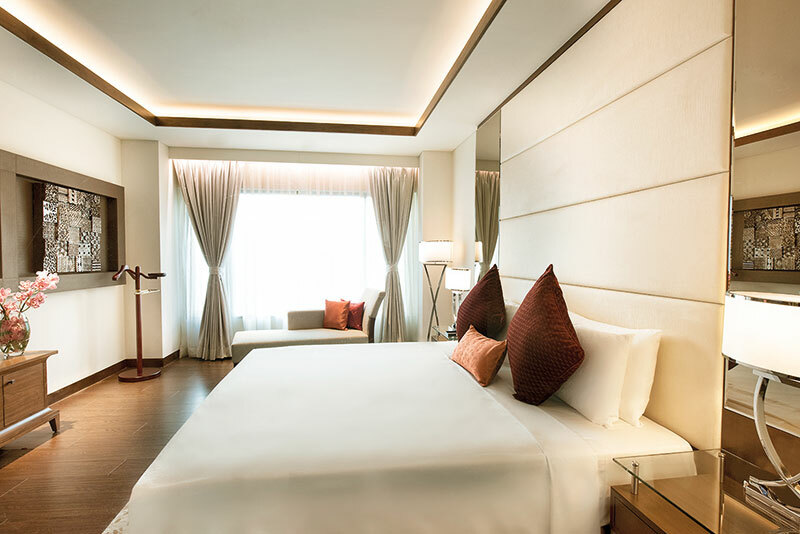 The global hospitality chain’s first Andaz Hotel in India, this Hyatt hotel is located in Aerocity, just a short distance from the capital’s airport and in proximity to the hubs of Gurugram and downtown Delhi. Designed by Chicago-based Bauer Latoza Studio and London’s Virgile and Partners, the hotel combines traditional Indian elements and aspects with modern decor. 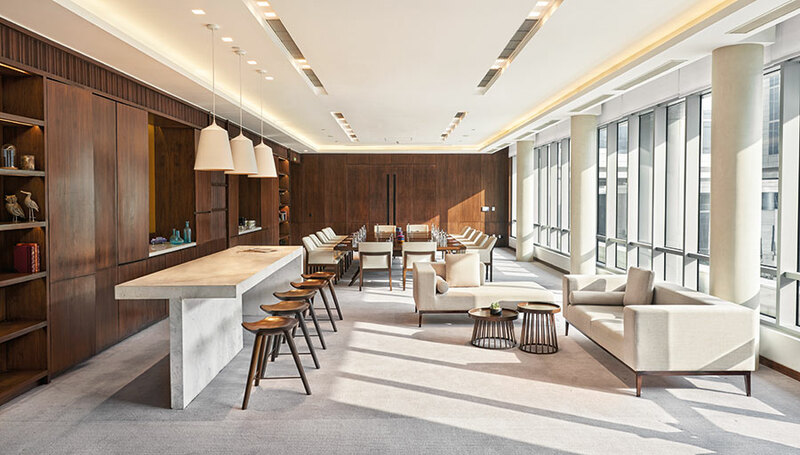 Its 401 guest rooms, including 45 suites and 129 soon-to-open serviced apartments, offer the best modern amenities, while the eateries focus on making dishes with consciously-sourced ingredients and local produce. 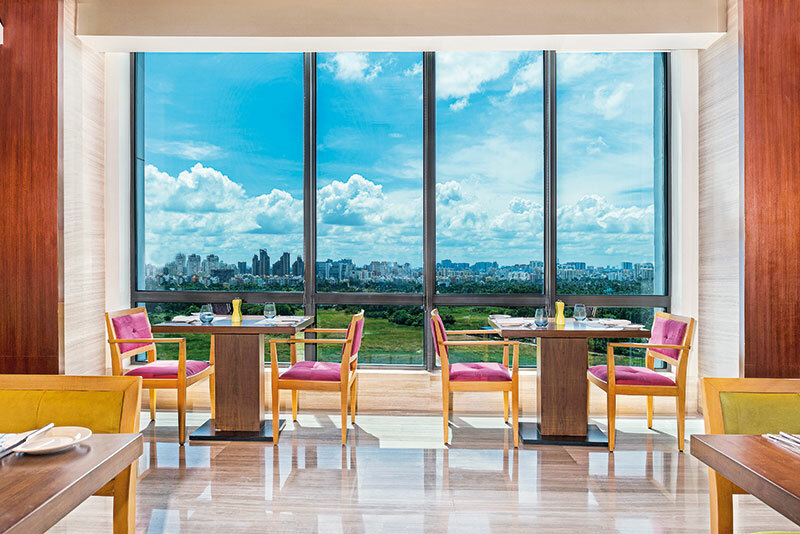 The restaurant AnnaMaya — inspired by the colours and flavours of India — is the hotel’s modern food hall where one can feast on local and international cuisine, and also stock up on artisanal products that are for sale. For those looking to unwind after a long day, the Juniper Bar offers drinks all day, with a highlight of 35 stylised gin-and-tonic infusions. Watch as the mixologists play around with hand-picked herbs, well-distilled liquors and fresh juices to create delicious cocktails. Head to the Andaz Spa for some well-deserved pampering and observe the therapists blend ingredients at the innovative apothecary-style bar, or indulge in a session of aqua yoga. If it’s a party you’re looking to host, the oval pillar-less ballroom is a perfect pick. Each of Andaz Delhi’s guestrooms includes a book — 401 Reasons To Fall In Love With Delhi by Fiona Caulfield, which highlights different areas of interest for the discerning tourist. The property’s ‘401 Experiences’ offers tours around the city, for guests to make the most of their time in the capital. Choose from a parkour demonstration, a tea-tasting session in Old Delhi, calligraphy class, or a live kushti match. One of Goa’s busiest locales just got a new destination for tourists to love. Le Méridien’s newest property, situated on the Calangute-Candolim road, promises a treat for those making their way to India’s party capital. Elements of Portuguese and Mediterranean culture greet you as you enter the Le Méridien Goa Calangute, and its public spaces made of stone and wood, with warm earthy tones and natural light, will make you feel at home in an instant. The 146-room hotel’s host of dining options provides plenty of variety, making sure you don’t have to brave the crowds at the beach shacks along Goa’s coastline. Latest Recipe, the all-day dining restaurant, offers a plethora of dishes in various international cuisines, while you can enjoy live music, kebabs, steaks and premium cocktails at Jazz & Grills. The coffee shop, Longitude 73, will keep you hydrated through the day with its selection of illy coffee, and transforms into a bar at sundown, where you can make the most of their cocktail hour. The floor-to-ceiling windows in each room give you the best views of the beach and the poolside, and the spacious accommodations promise a leisurely stay in the susegad state. The hotel couldn’t be better located — in the heart of the Calangute-Sinquerim hub of Goa. Stroll along Holiday Street and stock up on Goan souvenirs, or indulge in diving tours, water sports and boat excursions around the beach. Or simply try your luck at one of the offshore casinos. 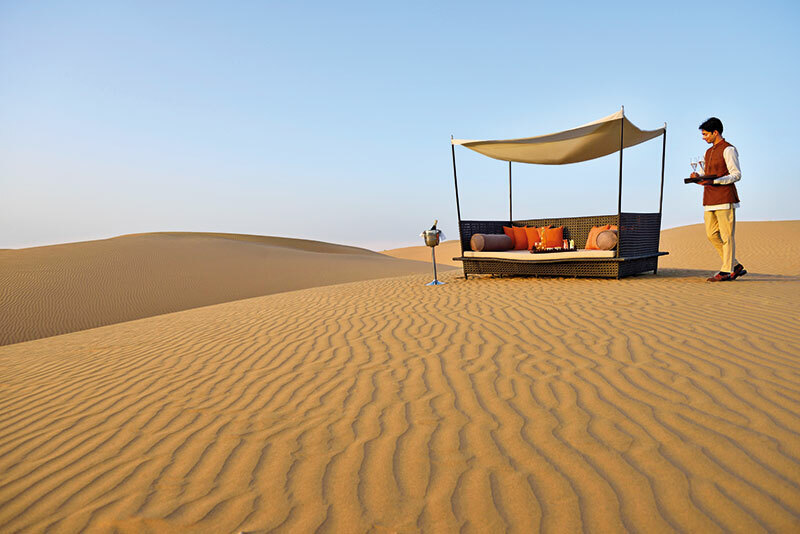 The first word that comes to mind when you think of Rajasthan is ‘royal’, and Marriott’s new property in the desert state gives you an experience that’s hard to beat. 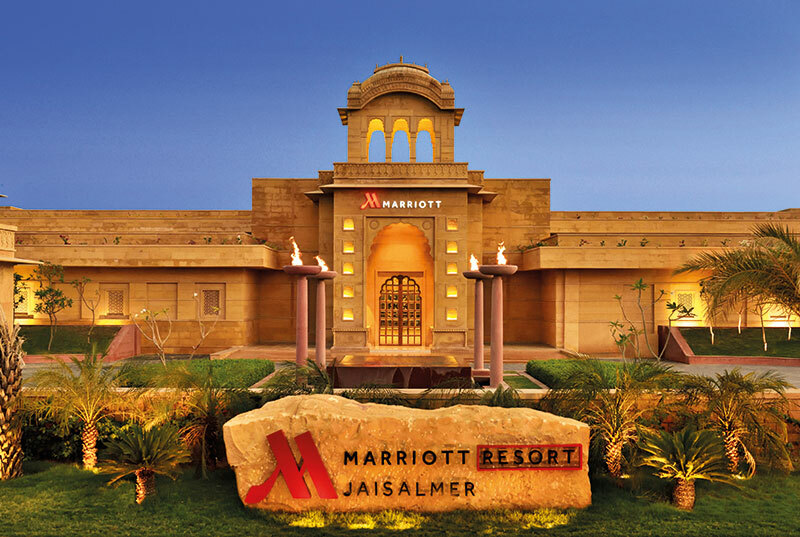 Just 3.3 kilometres from the local railway station and a few hours’ drive from Jodhpur airport, the Jaisalmer Marriott Resort & Spa is a palace hotel, overlooking the magnificent Jaisalmer fort, and assures world-class service. The 135 rooms and nine suites each come with resplendent decor and modern amenities for an uber-luxurious stay. Dine out in the open at Wyra, the rooftop restaurant with live counters, or feast on local and international delicacies at Jaisalmer Kitchen. Enjoy cabana-style seating at the Dunes bar that offers a fine selection of wines and cocktails, and if you want to satiate your sweet tooth, head to The Mithai Shop — its range of Indian desserts and savouries along with artisanal coffees and teas will tempt your inner glutton. For a truly relaxing time after your long sojourns out in the sun, make your way to the Quan Spa, where masseurs work their magic using traditional therapies. The Signature Thar Massage uses natural ingredients found in the state, and is a one-of-its-kind experience in the Golden City. After your fill of forts and palaces around town, you can spend your time indoors at the entertainment lounge, Shuffle, where you can pick from poker, football, pool, and electronic and board games. Experience local culture by taking an in-house pottery lesson, or just sit back and enjoy your evenings as dancers and musicians give you a glimpse of the rich heritage of Jaisalmer. With majestic sand dunes, golden forts and havelis, and royal treatment to boot, the Jaisalmer Marriott Resort & Spa is an ideal locale for the ‘great Indian destination wedding’, and can accommodate 1,500 guests. Make your special day picture-perfect and transform the 3,251-square-metre outdoor lawn — interspersed with sparkling water bodies — into your dream wedding location. The hotel’s dedicated event-planning team will cater to all your preferences to make your nuptials an affair to remember. 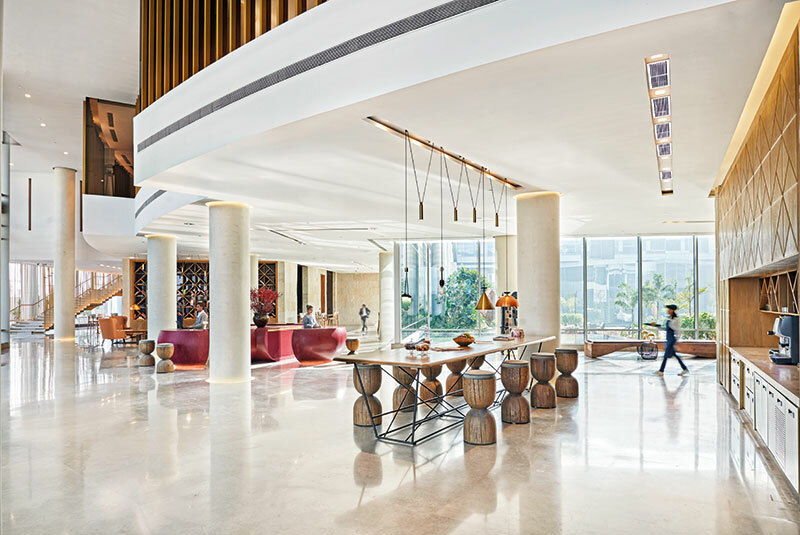 As you enter the lobby of Westin’s eighth property in India, you’re greeted by its pièce de résistance — a 105-foot mural called The Face of Spirituality — a large artwork of goddess Durga that represents the spirit of Kolkata. Each room of this eight-acre hotel boasts a view of the city’s skyline, and the 314 rooms are equipped with the brand’s signature amenities, assuring a pleasant stay. In-room spa treatments will give you much-needed rest after a long day out, whether you’re in the City of Joy for business or leisure. Get a taste of cuisine from around the country at Vedic that serves vegetarian fare, and also includes Kolkata’s first special all-vegan menu. If it’s pan-Asian fine dining that you want, make your way to Eest on the 31st floor of the hotel, or head to The Lounge Bar for a casual evening of wine and cocktails. Seasonal Tastes, the property’s all-day dining venue, features international cuisines and an elaborate brunch buffet every Sunday. The open kitchen, floor-to-ceiling windows, and bright artworks surrounding the space add to the venue’s casual vibe. End your day with a massage at the Heavenly Spa by Westin, or order in from the Westin Sleep Well Menu that will help with some relaxing shut-eye. 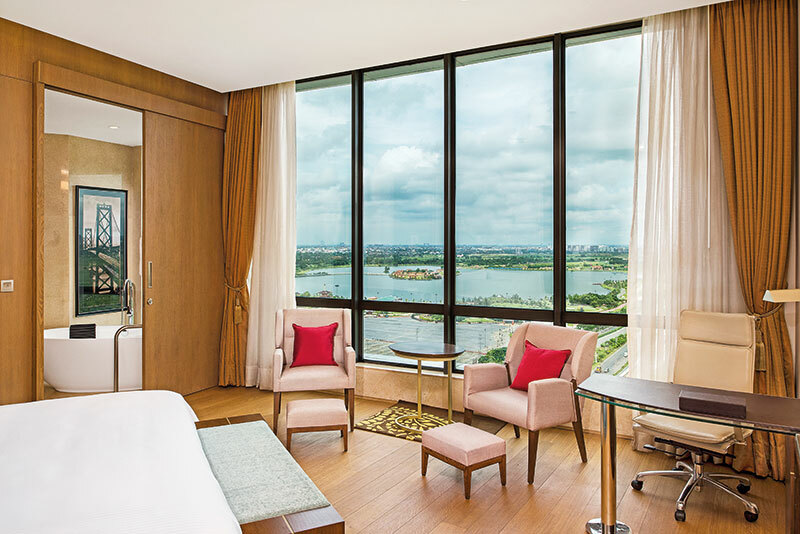 The Westin Kolkata Rajarhat’s spacious Westin Club Lounge on the 10th floor of the hotel offers a glorious view of the city skyline, and a chance to unwind in the lap of luxury. Lounge seating includes separate areas for work and leisure, with a lounge host at your beck and call. 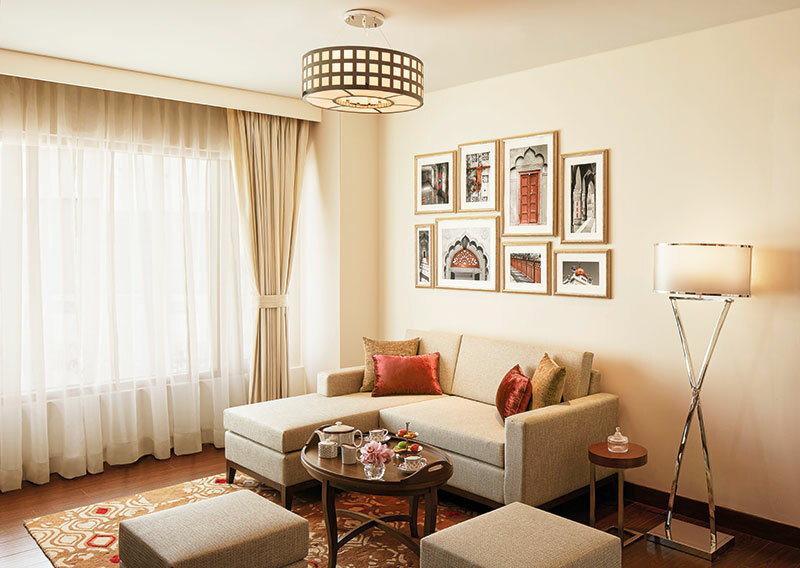 Just 30 minutes away from the city’s prized jewel — the Golden Temple — is The Indian Hotels Company’s first property in Amritsar, the Taj Swarna. 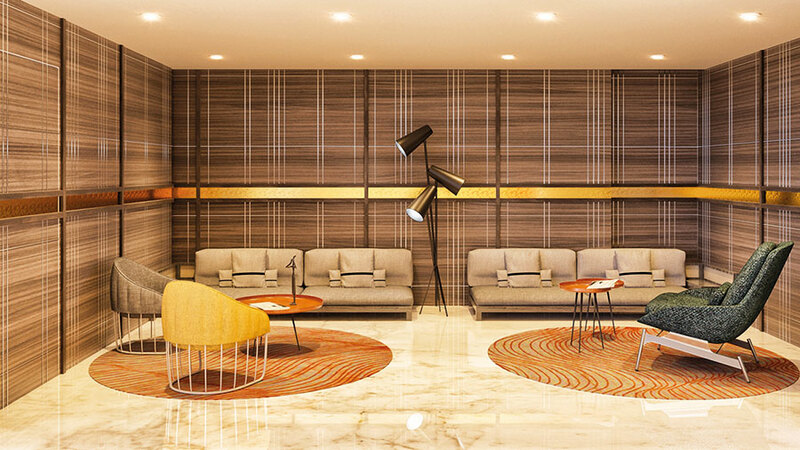 Offering contemporary luxury and service on par with Punjab’s hospitality, the space is ideally located in Basant Avenue, a short drive from the international airport. Its nine suites and 148 rooms, including a lavish presidential suite, offer the perfect mix of modular design and Indian opulence. Enjoy the finest local and international cuisine at the all-day dining area, The Grand Trunk that includes mouth-watering Amritsari specialities on the menu. Asian food fans can head to The Chinese Room to satiate their cravings for Far Eastern delicacies, from Cantonese fare to spicy Sichuan. 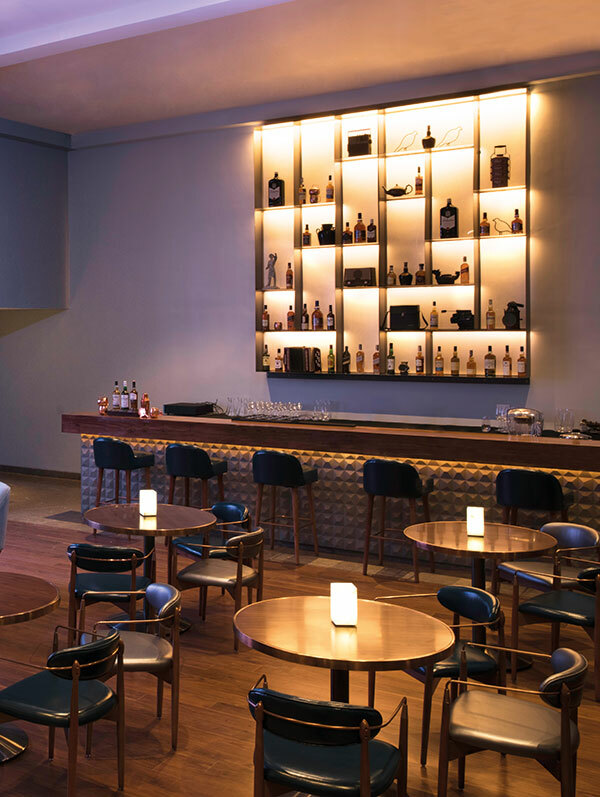 The bar and lounge at The Peg, with its striking outdoor views of the vibrant Punjab countryside, will cater to the most eclectic wine aficionados, with its vast selection of malts and vinos from around the world. The hotel’s al-fresco area is a great pick to bring in birthdays and anniversaries. The Taj’s signature Jiva spa and salon is the perfect place to unwind, with its Indian therapies and amenities that are inspired by ancient wellness techniques and our country’s rich heritage. Not only is Taj Swarna within a short distance of historical sites like Jallianwalla Bagh and the Golden Temple, it is in close proximity to Jalandhar and Ludhiana as well. And The Ambarsar Chaa experience includes an assortment of teas that can be paired with the best street food.